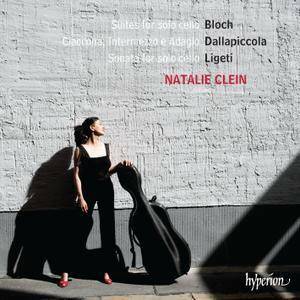 Natalie Clein, whose previous recording of the music of Ernest Bloch was described as ‘inspired’ by The Sunday Times, turns to his three suites for solo cello as part of a recital of works written in the aftermath of the Second World War. The sombre voice of the cello seems especially apposite in music of such deep seriousness, Ligeti’s short sonata providing an energetic and life-affirming finale. Luigi Dallapiccola, "Parole e musica"
Dallapiccola‘s timbres lead us through the darknesses of the human soul, allowing us to hope together with the prisoner, for we hear with him the saving word 'fratello' (brother). At the moment of the greatest fulfilment of hope, he is seized by the arms of the Grand Inquisitor and must acknowledge that hope was the worst torture of all. 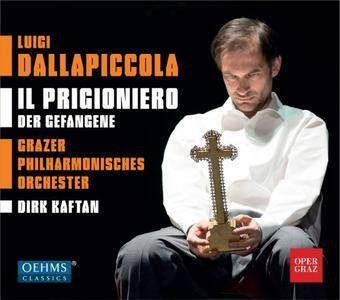 The performance series in Graz in March 2017, from which the present recording is taken, was praised in the highest terms by the musical press. 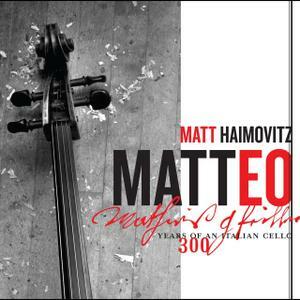 Matt Haimovitz’s Venetian cello was made by Matteo Gofriller in 1710, ten years before J. S. Bach put pen to paper for his six solo cello suites. Domenico Gabrielli’s seven Ricercari, the direct precursors to Bach’s masterpieces, may have been the first notes heard on this extraordinary instrument. 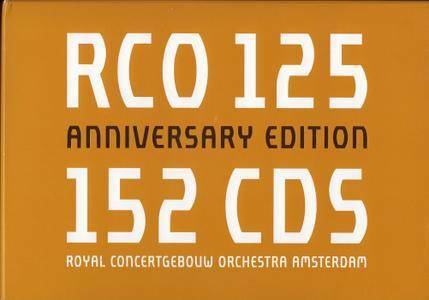 The Radio Legacy is a compilation of the seven part Anthology of the Royal Concertgebouw Orchestra, the four box sets devoted to the orchestra s chief conductors Willem Mengelberg, Eduard van Beinum, Bernard Haitink and Riccardo Chailly, and also featuring more recent recordings with Mariss Jansons. 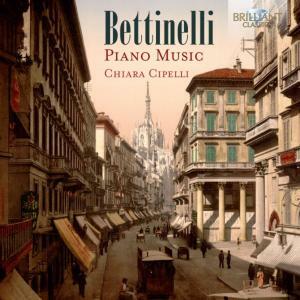 Bruno Bettinelli (Milan 1913-2004), the MAESTRO dei MAESTRI completed his musical studies at the Conservatory G. Verdi of Milan, receiving his diploma in Composition and Conducting, Piano, Choral Music, Choir Direction and Vocal Polyphony. He was Professor of Composition at the same Conservatory. Many internationally famous musicians have studied with him: Claudio Abbado, Riccardo Muti, Maurizio Pollini, Riccardo Chailly, Bruno Canino, , Uto Ughi among others. He has composed symphonic music (seven Symphonies), three operas, choral works and chamber music. He has won many national and international prizes for compositions. Despite rumors some months ago that the RCOA series might be discontinued (fortunately unfounded), here we have Volume III, a 14-CD set that contains much of interest, but surely—for this collector—doesn't live up to its potential. For me, ideally that would concist of some of the outstanding performances of great symphonic music played by this magnificent orchestra, recorded in the extraordinary acoustics of the Concertgebouw with the usual Radio Nederland sonic expertise. 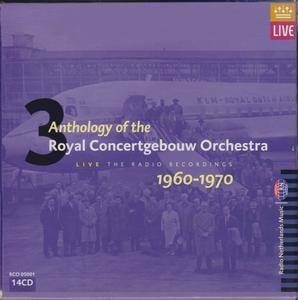 During the decade represented in this set (1960-1970) the Concertgebouw Orchestra's programming often emphasized contemporary music and that surely is reflected in this album. 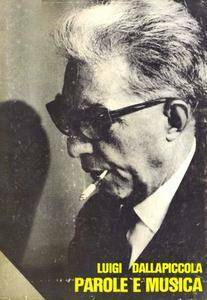 We have well over five hours of music by Martin, Varèse, Berg, Webern, Henze, Lutoslawski, Nono and Dallapiccola as well as Dutch composers Ketting, Escher, and Vermeulen, and Polish composer Grazyna Bacewicz's Music for Strings, Trumpets and Percussion, an 18-minute three-movement work of imagination and vivid scoring. 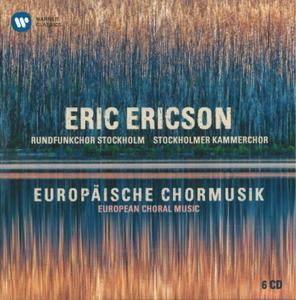 The great recordings of the "Nordic choral marvel": Swedish choral conductor Eric Ericson was one of the true legends in his field. When he died in 2013 at the age of 94, he had spent decades working to place his two Stockholm choirs among the international musical elite. His recordings from the 1970's enjoy real cult status – unique interpretations of a cappella works from the Renaissance to the 20th century, from Gesualdo to Penderecki, released here for the first time in a single box. When Gianandrea Noseda was appointed Chief Conductor of the BBC Philharmonic, great things were expected – the reputation of this young conductor preceded him. What was less expected was the diversity of repertoire that he would conduct, with equal success. His releases for Chandos, from Prokofiev to Dallapiccola, routinely pick up accolades from the critics. 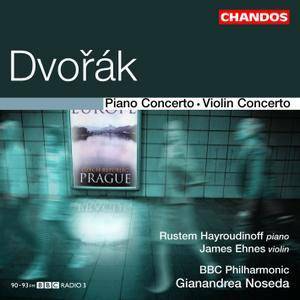 This disc features two of Dvorak’s neglected concertos, performed with great élan by soloists James Ehnes and Rustem Hayroudinoff. Both works have been overshadowed by Dvorak’s more popular Cello Concerto in B minor, but, as is apparent from this recording, both are delightful pieces, full of Slavic colour and folk rhythms, and characteristic of Dvorak at his best.